Mary Jane Hicks (née Duffey) was born in Meadow, Texas on the South Plains near Lubbock, and grew up and worked on the family cotton farm with her parents and sister near Tokio, TX. She graduated from Brownfield High School and later graduated with an associate's degree in business from Our Lady of the Lake and worked as an assistant to the Director of Ophthalmology at the University of Texas Health Science Center in San Antonio. Mary also served as a president of The Texas Society to Prevent Blindness for a time. 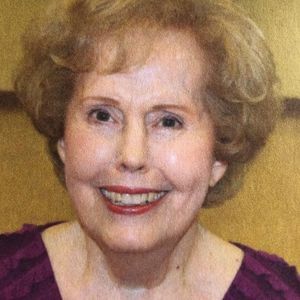 After retiring, she enjoyed her grandchildren and their activities, traveling, the Alamo City Republican Women's Club and lunches and bunco with a group of close friends. Mary went to be with the Lord at the age of 85. She will be missed by her husband of 67 years, Ves Hicks, sister, Lanelle Witt, daughter, Karla Salzman (Wayne), son, Stan Hicks (Dianne), 5 grandchildren and 10 great-grandchildren, several cousins, nieces and nephews. A service will be held on Monday April 1, 2019 at 10:00 am at Porter Loring Mortuary on McCullough. Interment will follow at Ft. Sam Houston National Cemetery.